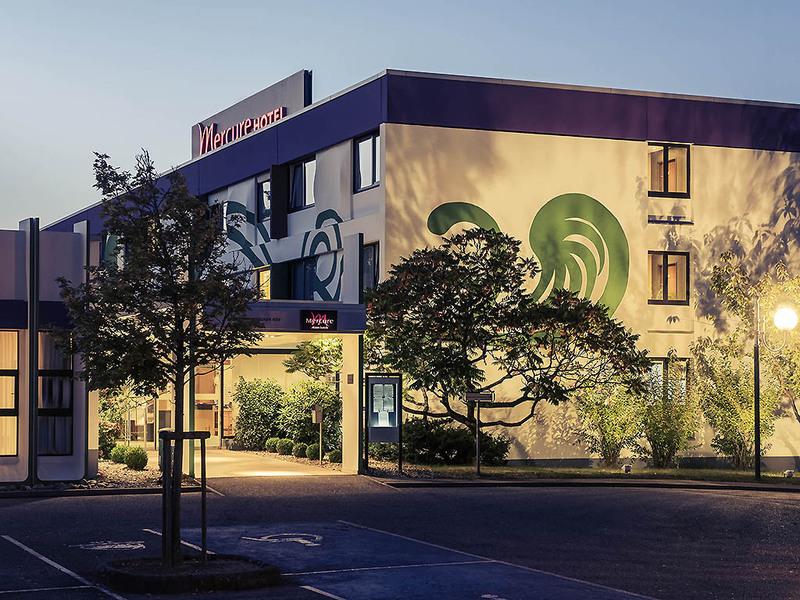 The 3-star Superior Mercure Hotel Saarbrücken Süd has 100 air-conditioned rooms with free WIFI. Our events area is the largest in Saarbrücken's hotel industry and can cater for your events for up to 250 people. The six meeting rooms can be combined, and t he highlight of our hotel is the ballroom for celebrations. Arrival: The hotel is 3.7 miles from the main train station and 9.9 miles from the airport. It offers 120 free parking spaces and the nearest exit from the A6 highway is just 109 yards away. Saarbrücken epitomizes the European ideal: The capital of the Saarland is where people from Germany, France and Luxembourg meet on a daily basis - at work, at the University, when shopping or walking in the German-French gardens. Our contemporary L'Orangerie restaurant caters for 120 guests and is open from 6am until 11pm. Our chefs will spoil you with international dishes and fine wines that you can also enjoy on our terrace. Come to Bar "La Source" and relax in contemporary surroundings over your favorite tipple. Sample our international dishes and enjoy the sociable atmosphere with other guests any time between 6am and 1am.